As most of you know, I’ve been using the Ping K15 for the past year or so and really love the feel, sound and flight that it gives me, so it was going to be interesting to see how the G20 driver compared. The G20 did have the advantage of being tested in Colombia where Bogotá (8,612ft) and Medellín (4,905ft) sit high above sea level and the ball really does fly for miles. Look out for my destination review; it really is an ego boost playing golf at that altitude. So back to the G20. 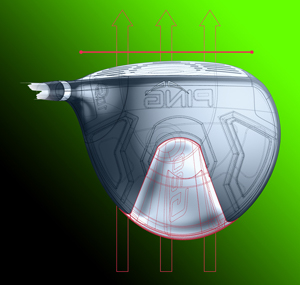 The head is shallower and smaller compared to the K15 and you can see where they have moved the weight low and back in the head, and this gives a great ball flight. I found it to be a high, strong, penetrating flight and it obviously imparts less spin, going by the distances I was getting. I also got to test this at sea level in Colombia and in England at Hindhead Golf Club, which is a beautiful heathland course. Any of you who have played the latter will know that keeping it on the fairway will give you a big advantage. I normally hit the ball about 270 yards, but with the G20 I was getting readings from 280 to 305 yards on my cart and handheld GPS at sea level…whereas at altitude in Bogotá and Medellín it was 330-358 yards. Oh yes, altitude is a real back-slapper, especially when you’re hitting 7 and 5 irons into par 5s, ‘Bubba long’, although to be fair Bubba would probably drive the green! 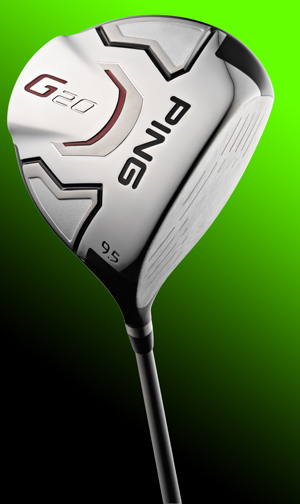 I would without a doubt recommend the Ping G20s. They sit really well behind the ball at address and with the weight being moved back and deep in the head you’ll really enjoy the high, penetrating ball flight it offers. There are four different loft options, eight shaft options and six grip options. As with all Pings clubs you can now make the most of their online club-fitting option, if you haven’t got time to get down to your local pro and have a full custom fit. Good luck with your selection and have fun. I know you’ll enjoy every minute of unleashing this baby down the fairway.